Syracuse University School of Law, J.D. 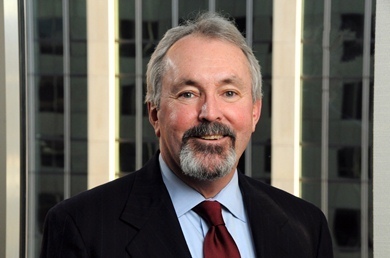 William R. Connon is a member of the firm's School Law section. October, 2018 marked his 42nd year of experience advising and representing local and regional boards of education in a wide range of education law and special education law matters in Connecticut. In 2016 he was nominated by Governor Dannel P. Malloy and was approved by the Connecticut legislature to continue to serve as one of the management attorneys who serves on the State Department of Education's Interest Arbitration Panel to represent local and regional boards of education. In the field of public sector collective bargaining, William has negotiated close to two hundred certified employee collective bargaining agreements with teacher and administrator bargaining units, on behalf of Connecticut Boards of Education. William was a founding director of the Canton Education Foundation. For ten years he served as an Adjunct Professor in the graduate program of the University of Connecticut NEAG School of Education's Department of Educational Leadership. A frequent speaker at professional conferences, William has also lectured on school law topics to graduate students at Southern Connecticut State University. He currently conducts "Legal Issues Forums" for Connecticut superintendents of schools, and serves on the Board of Directors for the Connecticut Transition Academy at Deep River, a clinical day school.